Delving into her career due to an interest in becoming a nurse from a formative age, Ms. Miller spent the duration of her career at the Memphis VA Hospital in Tennessee. First serving as a staff nurse from 1981 to 1985, she subsequently ascended the ranks to clinical specialist from 1986 to 1988 and clinical specialist of staff development from 1988 to 1989. 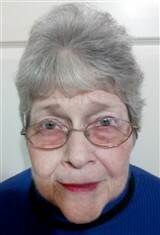 Thereafter, she served as a patient health education coordinator from 1988 to 1995. Concluding her tenure at the hospital in 2008, she was a geriatric nurse practitioner since 1995. Ms. Miller is a certified geriatric nurse practitioner, a certified clinical specialist, and a certified health education specialist. Earning a diploma from the Baptist Memorial Hospital in 1963, she went on to receive a Bachelor of Science in Nursing and Master of Science in Nursing from the University of Tennessee in 1980 and 1981, respectively. She subsequently completed postgraduate coursework at Vanderbilt University in 1996. Serving on the board of directors of the Tennessee Nurses Association, Ms. Miller was the former president of Sigma Theta Tau and has contributed myriad articles to professional journals. The highlight of her career was when she presented her research on pressure sores at an international nursing conference. In light of her many accomplishments, she was named one of the Excellent 11 Top Nurses in Shelby and Fayette County. She has also been featured in the third edition of Who’s Who Among Human Service Professionals, as well as multiple editions of Who’s Who in America and Who’s Who in American Nursing. Next Lois A. Monteiro, Ph.D.